Getting dental implants is currently the best tooth replacement option available. 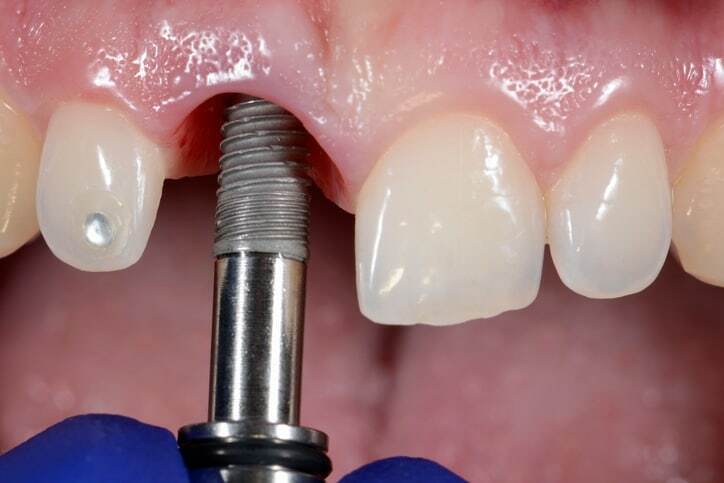 Not only does the dental implant mimic the natural tooth that was lost giving the patient full functionality of their new tooth, the implant is also lodged directly into the jawbone of the patient’s mouth making it much more secure and durable than other tooth replacement options. In order for the dental implant to be successful, however, one critical factor that must be present is a strong enough jawbone in terms of width, height and overall density. If the jawbone is not strong enough to support a dental implant, there will be a high chance of implant failure causing further complications in the future. Ensuring that the jawbone is large enough will be an important part of the consultation phase, especially for patients needing a dental implant to replace molars or premolars in the upper jaw. Since the sinus cavity is directly above the back part of the upper jaw, often times patients do not have a thick enough jawbone here to receive dental implants. Luckily there is a procedure known as a sinus lift, similar to bone grafting, which can help patients with a large sinus cavity to still receive dental implants in this part of their mouth. Why may a sinus lift be required for dental implants? The patient’s sinus is larger than normal meaning there is not enough bone height between the upper jaw and the sinus cavity. The patient’s bone density at the back of the upper jaw is not strong enough to support dental implants, which can be a result of bone loss after tooth loss or even from the patient’s genetics. In either of these cases, placing a dental implant in this part of the mouth without performing a sinus lift beforehand can lead to serious complications. For example, the dental implant may go right through the jawbone and enter the sinus cavity. In this case there is a much higher chance of the implant becoming loose or causing a sinus infection. What is the purpose of a sinus lift? In the scenarios described above, a sinus lift procedure will increase the bone height at the back of the upper jaw creating a thicker jawbone for the implant to anchor into. While doing this, the sinus membrane will also be lifted, effectively making the patient’s sinus cavity smaller. This will eliminate the risk of the implant penetrating the sinus cavity, significantly reducing the chance of the implant coming loose or a sinus infection from occurring. 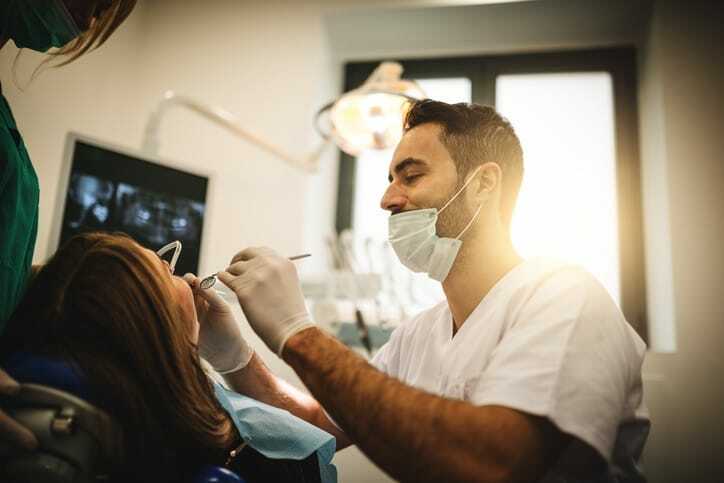 In order to perform a sinus lift, your dental surgeon will begin by cutting the gum tissue where your molar or premolar used to be, and where the implant will be placed. The jawbone is then carefully cut open until the sinus membrane is exposed. Once this happens, the surgeon will then gently push the sinus membrane upwards, effectively creating a void between the upper jawbone and the sinus cavity. The size of this void will depend on how much bone structure needs to be added for the dental implant to be safely placed. Once this void is created, your surgeon will place bone or bone like material into this empty area, similar to how they would perform a bone grafting procedure. After the void is filled with bone material, the gum tissue will be stitched back together in order to allow the bone to heal, which can take anywhere from 4 to 9 months. Are there any risks of getting a sinus lift? 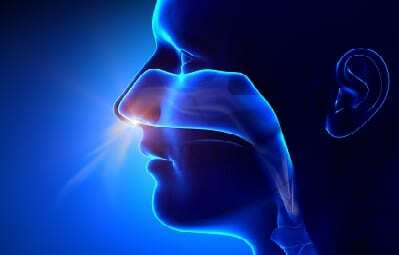 As with any other surgical procedure, there are some risks involved with getting a sinus lift procedure performed. The main risk is that the sinus membrane is punctured or torn during the procedure which can lead to infection if not properly taken care of. In this case, your dentist should immediately stitch the torn membrane back together so that the sinus lift procedure can be completed without further complications.